I am excited to announce our first ever chapter book based unit study! This unit is for the book Children of the Longhouse by Joseph Bruchac. The book is about a brother and sister growing up in the Mohawk tribe, in what will eventually become New York State. This book made the PERFECT first book for our Green level for ages 8-12 for several reasons. Let me tell you some of the things I love about this book and the unit based on it. First off, I love that we are sharing with you a book about American Indians, a group too often neglected in American literature and history lessons. The lessons on the culture and history of American Indians before the arrival of European settlers is a beautiful and interesting addition to your child’s education. I was also excited to see how beautifully science lessons tied into this story, in addition to activities in language arts, social studies, making art, and so much more. The unit study has a total of 36 activities to do with your child as you read the book together. The activities include everything from physical games and crafts to watching YouTube videos to learn more about a variety of topics from the chapter. 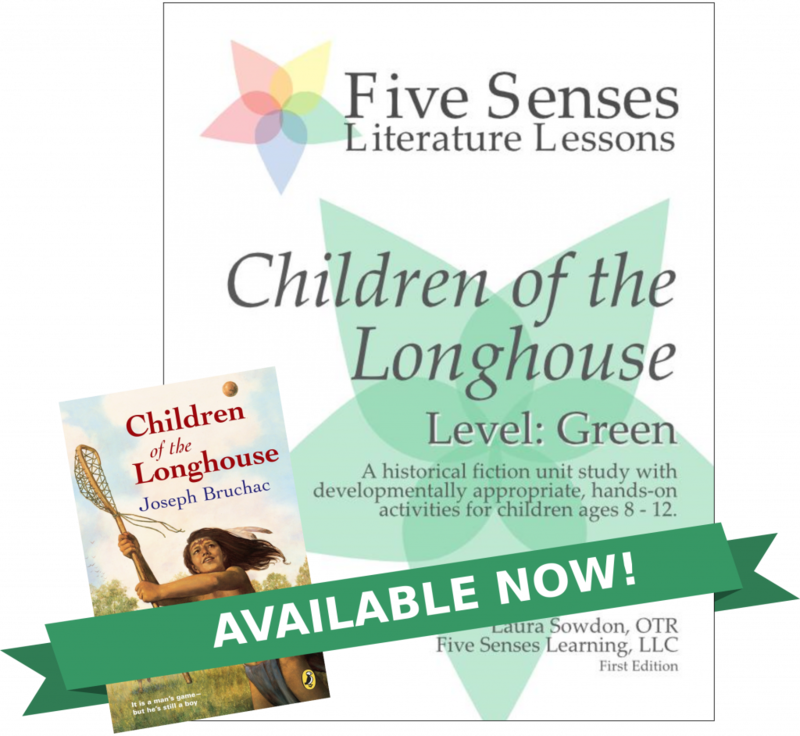 I hope you and your child will enjoy Children of the Longhouse and our Green Level unit study based on it as much as I did! Next: Next post: Magic Monday — Ocean Field Trip Made Easy!